Currently, there are at least 27 schools in the state of Hawai‘i within a mile of large-scale agricultural operations known to use high-volumes of restricted used pesticides. 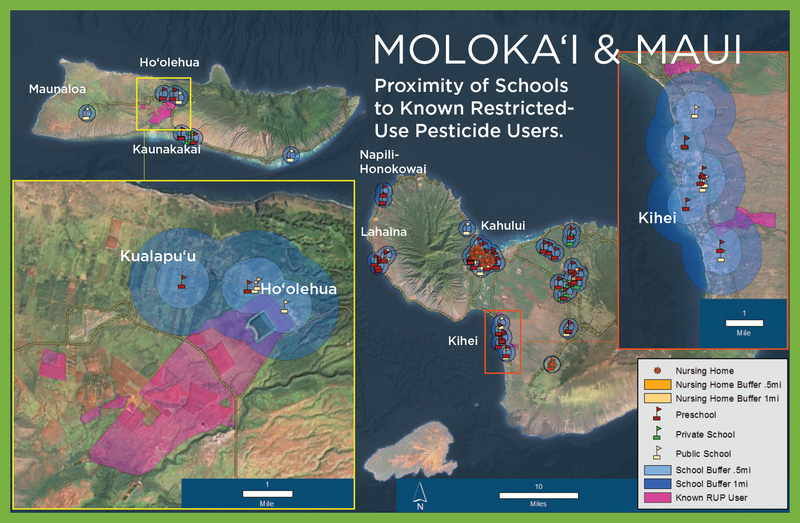 The keiki attending these schools every day must face the risk of exposure to these chemicals through pesticide drift. Children are the most vulnerable to toxic exposure of pesticides because it can disrupt critical development processes. 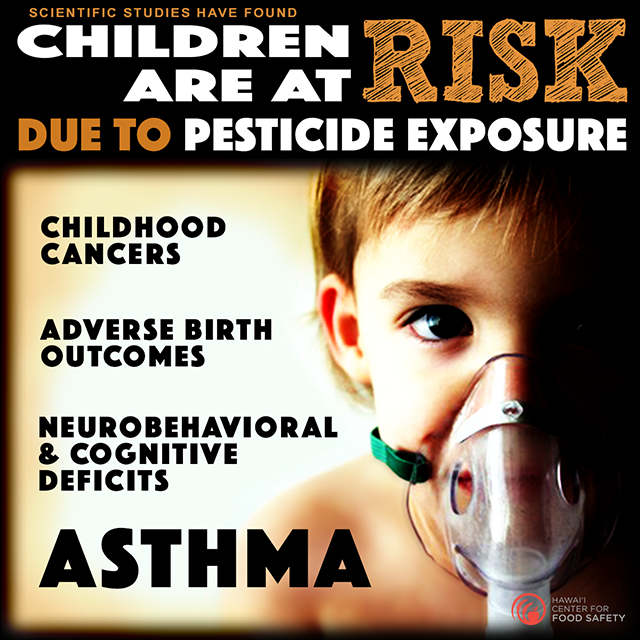 Early life pesticide exposure has been linked to long-term health effects including cancer, serious diseases, decreased cognitive function, and behavior problems. In response to these threats, HCFS and a broad coalition of supporters introduced bills in the 2017 legislative session that would create no-spray buffer zones around schools, hospitals and other sensitive areas, and require entities applying restricted use pesticides to disclose the pesticides they are spraying and notify communities who could be potentially impacted by pesticide drift. 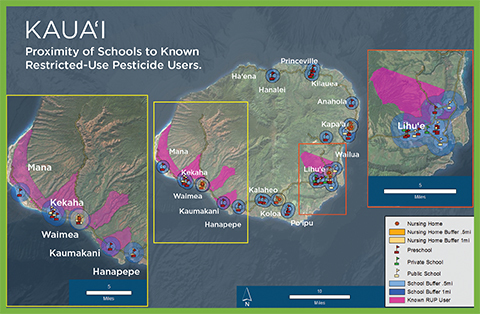 The need for these measures is strongly supported by the findings of the Kauaʻi Joint Fact Finding Report (JFFR), a 100-page report released in March 2016. The JFFR revealed major gaps in pesticide reporting and regulations in Hawaiʻi and emphasized the need for regular pesticide monitoring of air, water, soil and dust, and increased coordination between the Hawai‘i Department of Agriculture, Department of Education, Department of Land and Natural Resources and the Office of Hawai‘i Affairs. In addition to mandating no-spray buffer zones and disclosure, HCFS helps citizens claim their democratic power by connecting people with the skills and opportunities they need to participate in the policy process. Through partnerships, social media, our network of members and public outreach, we were able to mobilize over 2500 constituents to take action during the 2017 legislative session. We are committed to continuing this work until appropriate regulations are in place to protect Hawaiʻi’s keiki. 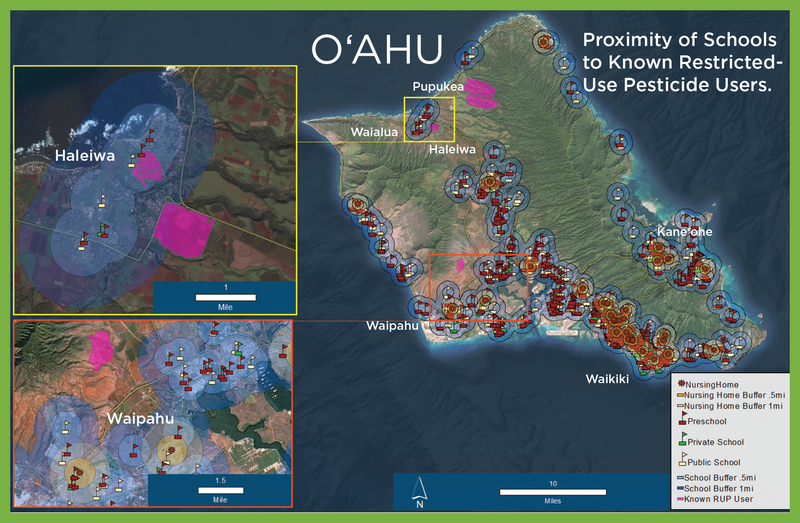 Sign the petition to support mandatory disclosure of toxic pesticide use in Hawaii! To track these bills and others from all sides of the debate, visit www.protectourkeiki.org. Grow the Buffer Zones Campaign with a Donation!